Privacy Versus Freedom of Speech – Twitter, Wikileaks and the Law? Ths the dilemma the case of super-injunctions versus electronic expression of speech, from the micro-blogging site Twitter. One a footballer taking out a super-injunction against the media’s printing of his affair with an ex-big brother model. 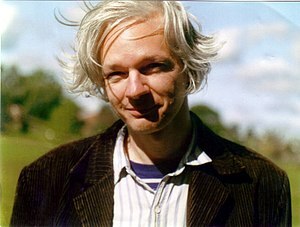 And only recently ago worldwide Governments, the US included calling for legal action against Julian Assange , of Wikileaks decision to publish it’s US intelligence telegrams among the intelligence files it’s already published. So a footballer paying for ‘privacy’ law and Governments demanding ‘privacy on sensitive ininformation against Wikileaks published articles. Today however, Twitter’s new European boss has made clear that Twitter will co-operate with any local legislation and where users have been found to have broken local laws in their country that they will contact not only the user to inform them that they may face prosecution but also assist the authorities by providing user information should it be required. Users of Twitter have now been warned not to break their countries laws. He has suggested that users who break privacy injunctions by posting on the site could face the UK courts. Of those users who flouted any privacy laws he said that those that did “bad things” needed to defend themselves – however he also warned that the site would hand over user information to the authorities where they were “legally required”. Currently lawyers and the courts are looking to establish the identity of those people responsible for naming the footballer who had taken out the super injunction. These people will probably when found be not as fortunate as MP John Hemming who repeated the Twitter gossip to make Parliament aware on Monday of Ryan Giggs as named on Twitter as the person who had used a super-injunction to hide his alleged affair under the guise of discrediting the law surrounding the use of super-injunction. Mr Hemmings MP using his right of Parliamentary privilege to legally do so. He previously named disgraced banker chief Fred Goodwin as having taken out a super-injunction to cover a similar extra-marital affair. Twitter‘s Mr. Wang told BBC reporters at the e-G8 Forum today though that social networking platforms have a responsibility to not to defend the user “but to protect that user’s right to defend him or herself”. It is apparent that governments and popular celebrities preferring privacy and secrecy and the internet demanding open free speech will have to resolve this opposition to each other soon and unfortunately as the internet is global local jurisdiction and laws may now require a complete rethink. Ryan Giggs is suing micro-social networking site Twitter over breaching a super-injunction that was taken out with the courts and revealing his name as the name of the player who allegedly had an affair with model Imogen Thomas. Mr Giggs applied for legal action at the high court in London on Wednesday, in what is thought to be the first action against the US social media firm and its users. The lawsuit lists the defendants as “Twitter Inc and persons unknown”. The latter are described as those “responsible for the publication of information on the Twitter accounts” in the court document, according to reports.